So your haircare routine could use a boost. 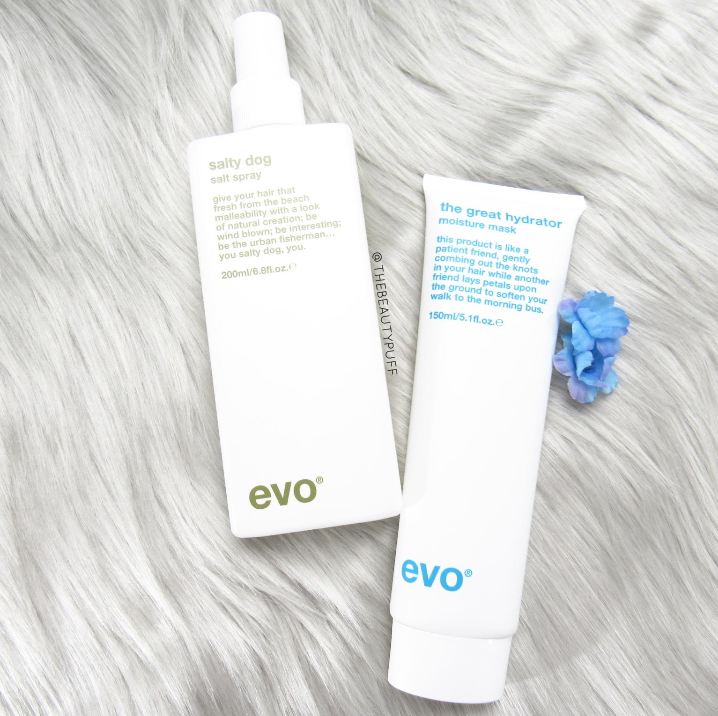 Look no further because the Evo line has everything you need to replenish, volumize, and tame your 'do. I've been incorporating some of their products into my routine lately and they've helped me get nourished, stylish locks in no time. 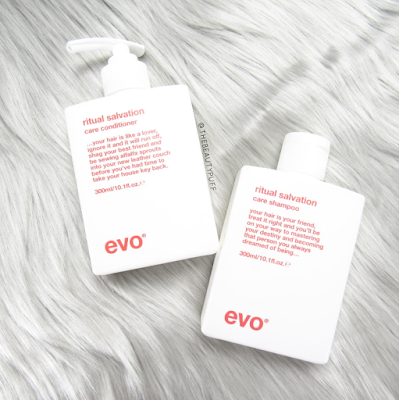 Ritual Salvation shampoo & conditioner | This shampoo and conditioner are geared toward color-treated/damaged hair. They're gentle but still get every bit of styling product out. And with my hair - that's a lot! No matter what my hair has been through since its last shampoo, these products bring it back to life and I can start my styling regimen all over again as if nothing happened. This is just right duo to replenish and strengthen my hair after heat, styling products, you name it. Everyone's hair needs a little TLC right? The Great Hydrator moisture mask | So your hair needs more than a little TLC? Gotcha covered. This moisture mask hydrates, smooths and improves manageability in just five minutes. I don't know about you but I don't have all day to wait for products to work. I love how easily this mask fits into my routine and how much it does for my hair. It provides shine, conditioning, and even frizz control. Check, check, check! Did I mention it smells incredible too? Yum. Salty Dog salt spray | I want to wash and condition my hair only to make it look textured and wind-swept, doesn't everyone? But really though, beachy waves are all the rage this time of year and yes, this is one more thing I don't have time to achieve. Thank goodness for this salt spray. I just spray this all over my damp/towel tried hair, scrunch, and let it air dry. It gives texture without shine or crispiness so hair is left touchable and "style-able." Now you can get that "just went to the beach and you can tell just by looking at my hair" look without, well, going to the beach. Check out the entire Evo line below and get your hair prepped and ready for summer and beyond.